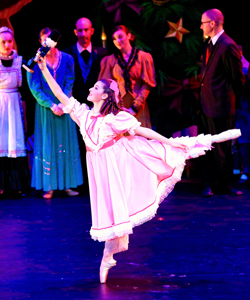 Ballet Repertory Theatre returns with its exuberant, full-length Nutcracker. Nearly 300 performers in dazzling costumes gracefully bring to life beloved holiday music, each a rollicking performance. 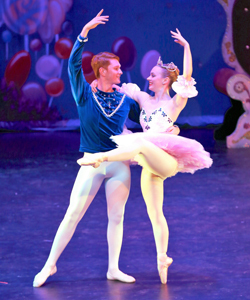 Travel with Clara through a magical world of life-size dolls, colossal mice, and delicate snowflakes to the fabulous Land of Sweets, home of the Sugar Plum Fairy and her Cavalier. Energetic French, Spanish, Arabian, Russian, and Chinese dancers await you, along with twirling candy canes and waltzing flowers. 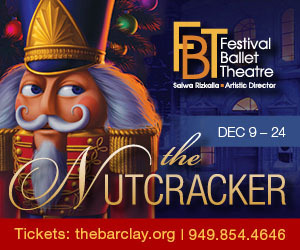 Charming and joyful, Orange County's longest-running Nutcracker is a family-friendly, feel-good, holiday tradition.